Wind energy takes advantage of a renewable resource that is in great supply in many parts of the world, wind. 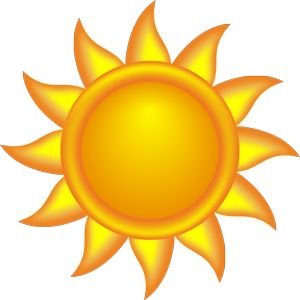 It requires no combustion, is non-polluting and emits no greenhouse gasses. Wind has been used throughout history to provide power, from the earliest sailing vessels that used it for transportation, to medieval windmills that used wind to grind grain or pump water, to isolated farms and ranches that use wind power in lieu of being connected to the grid, to current wind farms consisting of thousands of wind turbines that supply power to the electric grid. However, wind power does have a number of challenges. Since power generation depends on wind speed, which is not constant, its feasibility in some geographic locations is limited. In general, an average wind speed of over 10 mph is required. In addition, the most suitable areas for wind power tend to be located great distances from major cities which requires investment in transmission infrastructure. And, since the wind generally blows harder at night, power generation is maximum at the time when power demand is relatively low. Other issues that must be overcome are the fact that large land areas are required and the perception that wind farms are an eyesore. The world's first wind farm consisted of 20 wind turbines and total power capacity of 0.6 MW, installed on Crotched Mountain in southern New Hampshire in December 1980. 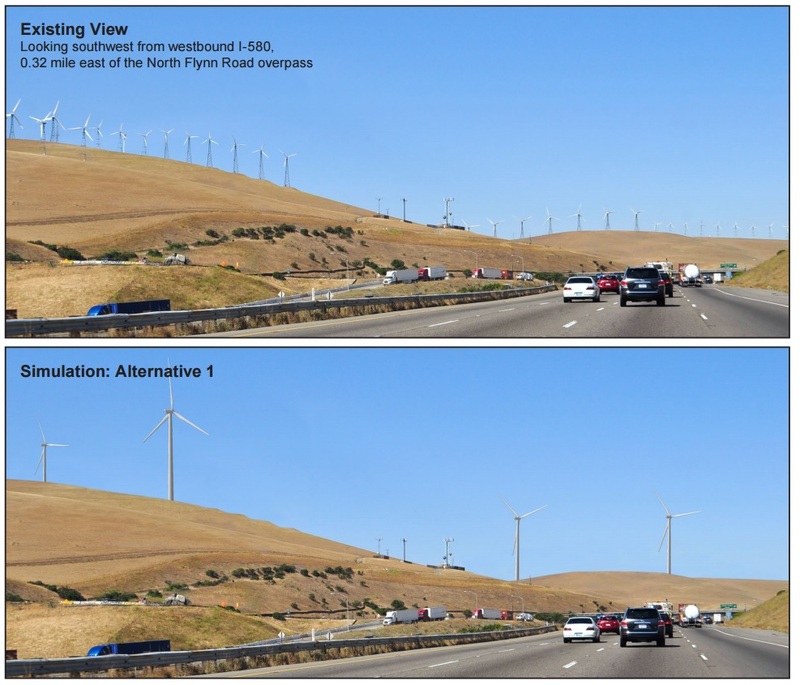 The Altamont Pass near San Francisco, California, developed in the 1980s, was once the largest wind farm in the world in terms of capacity and still has the largest concentration of wind turbines in the world. Alta Wind Energy Centre in Tehachapi, Kern County, California, is the largest wind farm in the United States with an operational capacity of 1,020MW and with construction underway to expand capacity to 1,550MW. And the Gansu Wind Farm Project the Gansu province in China is the largest wind farm in the world and includes a group of 18 wind farms currently under construction. When the project is complete in 2020, it is planned to have a capacity of 20,000 MW. According to the NREL (National Renewable Energy Laboratory) the United States has a theoretical onshore wind potential capacity of 11,000 GW. This compares to a total US electricity capacity of approximately 1,000 GW. Thus, less than 10% of total theoretical capacity could meet all electrical power needs in the US. Installed wind generation capacity at the end of 2014 of approximately 70GW, with an additional 11GW anticipated in 2015. 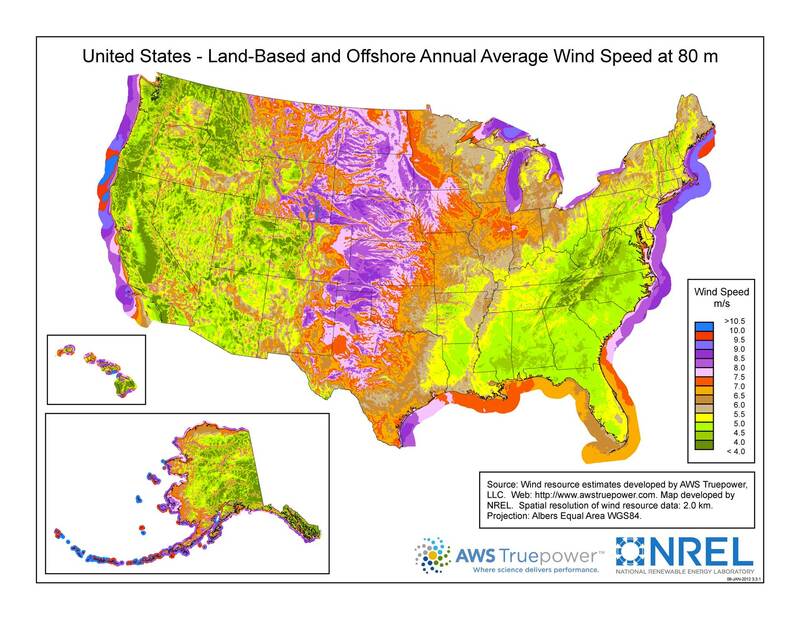 The new frontier for wind development, which the NREL estimates has a potential capacity of 4,200 GW in the US, is offshore. Wind speed is generally greater offshore, and wind turbines generally don't compete with other uses for the site. Development costs tend to be higher as the design is more challenging, installation requires additional specialized equipment, and transmission lines must be laid underwater. Maintenance costs are also higher. 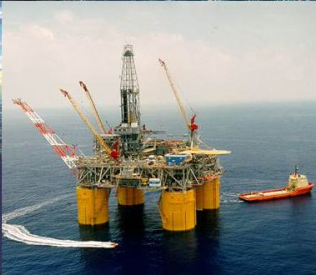 However, offshore land leases tend to be less expensive than purchasing or leasing onshore land. Europe has taken the lead in developing offshore wind farms, with large developments in the UK, Germany, Denmark, and Portugal. 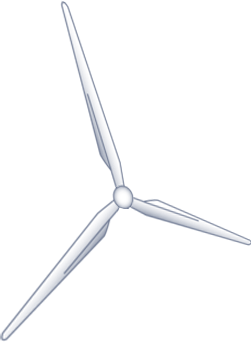 The first US wind farm is currently under development offshore Block Island, Rhode Island, and is expected to begin operation in 2016. It is a relatively small farm consisting of 5 turbines with a total capacity of 30MW, but it is expected to lead the way in breaking down political, governmental, and jurisdictional barriers to further offshore wind developments. At today's natural gas prices, wind power is not economically competitive without government subsidies, except in the windiest states. And these government subsidies have been so unpredictable that it is difficult for a company to plan a major investment. 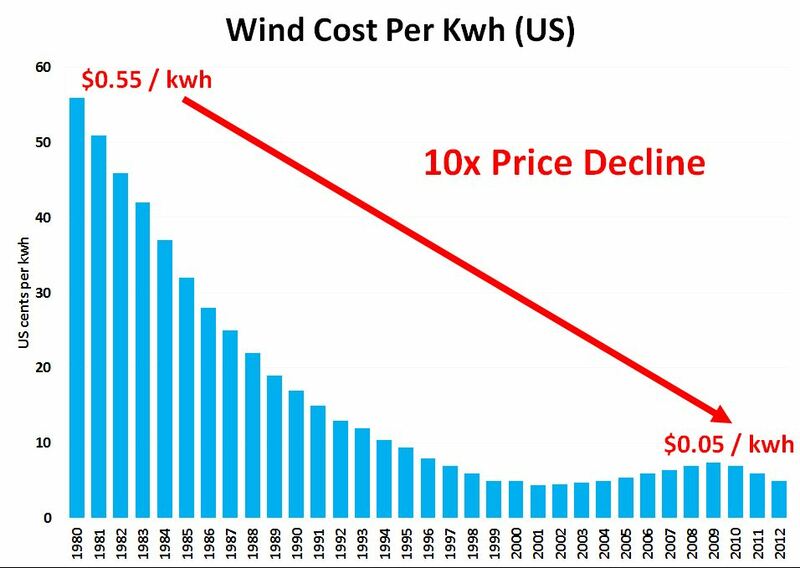 However, as costs continue to decrease and efficiency continues to increase, wind power will become competitive with fossil fuel based power in more and more states. A recent report by the US Department of Energy has evaluated the continuing and growing contributions wind can make to the country's energy portfolio. One scenario that was examined assumed that wind could make up 35% of the US electricity generation by 2050. Although aggressive, this was perceived as being achievable, and the report documents significant benefits to the country in terms of reduced electricity cost to the consumer, less greenhouse gas emissions, improved health due to cleaner air, and less water use by the electrical power industry. Given its renewable and non-polluting nature, decreasing cost, and political and social pressure to address climate change issues, demand will undoubtedly continue to increase for wind power. The Wind Power Topics package provides information on a variety of wind power topics of general interest to the American public. Information from a number of sources is provided, including links to videos that have been produced spcifically by Our World of Energy for broadcast television. How is wind used to generate electricity? Where is wind energy produced? 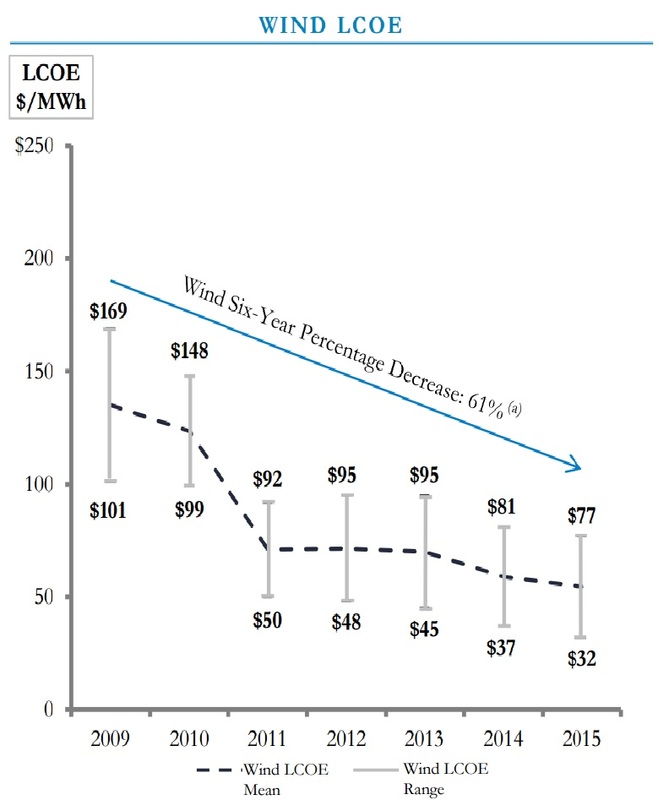 What is the cost of electricity produced from wind energy? 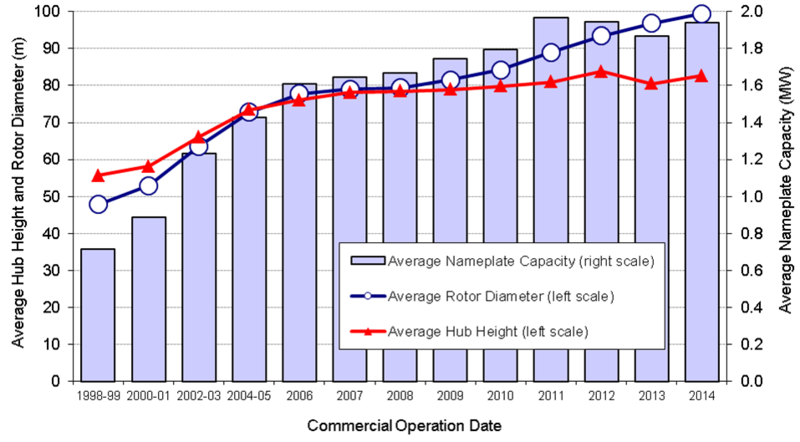 What are the key technology advances impacting wind energy production? What is the impact of wind energy on the environment? What are offshore wind farms? What are the main challenges facing wind energy?